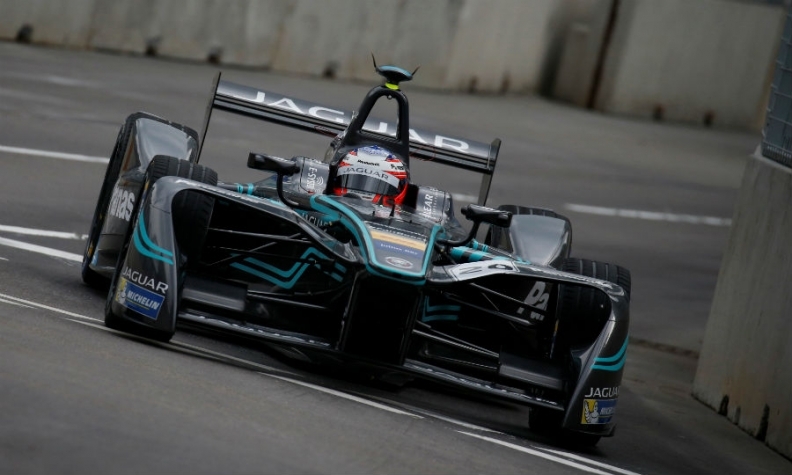 A Panasonic Jaguar car is pictured in a Formula E race. LONDON -- The London-based Formula E electric car racing series will leave Britain if Brexit goes ahead without a deal on tax and employment, its CEO, Alejandro Agag, said. The global city-based championship, which will be starting its fourth season in Hong Kong on Dec. 2, employs about 100 staff at its West London headquarters. Agag, a Spanish national who has lived in London for 15 years, said he was "very worried" by Brexit and Formula E could relocate its business to the European Union in the space of a day if necessary. "We have a lot of expats that work in the company ... probably of our 100 employees, 50 are British and 50 are from other countries," he said on Wednesday. "A lot of our contracts come from the European Union in terms of sponsorship, so if there is not a deal in terms of tax and employment, we will leave." Agag said Formula E is looking at different options. "Maybe Holland, maybe Monaco. Some nearby place in the European Union," he said. Formula E will have 14 races in 11 host cities in the 2017-18 season with four new venues in Rome, Zurich, Sao Paulo and the Chilean capital Santiago. The series is part-owned by Liberty Global and has attracted strong manufacturer interest, with Porsche and Mercedes set to enter from Year Six. Nissan will replace alliance partner Renault in 2018. Aston Martin is interested in joining after its launches its first electric car, the RapidE sedan. Other manufacturers involved are BMW, Audi, Jaguar, Citroen and India's Mahindra. Agag said his strong preference would be to stay but withholding tax that is being imposed on sponsorship payments from EU-based partners once Britain leaves the EU in 2019 would force his hand. "If there are withholding taxes on sponsorship payments, that would make our business impossible. So then we would have to leave. And of course if the people cannot stay here working then that would make us leave also," he said. Agag said the tax would cut income because fees, for example from a sponsor such as Michelin for example, will have a 30 percent withholding. "So my revenue will go down by 30 percent. And if I move to France or Holland, I will get the whole fee. It’s a no-brainer." Most of the teams are based in Britain but the country has been off the Formula E calendar since 2016 after residents near Battersea Park complained of the disruption on their doorstep. Agag said the immediate prospect of London hosting another race was slim, with a proposed ePrix down the central Mall and around Buckingham Palace rejected by Royal Parks. But talks are continuing with other boroughs. "We don’t really need to be in London. We want to be in London if we are welcome in London," Agag said. "In other places in the world we are really welcome. We race in the centre of Paris, we race in Rome, we race in Hong Kong. And we don’t even have one complaint from residents."